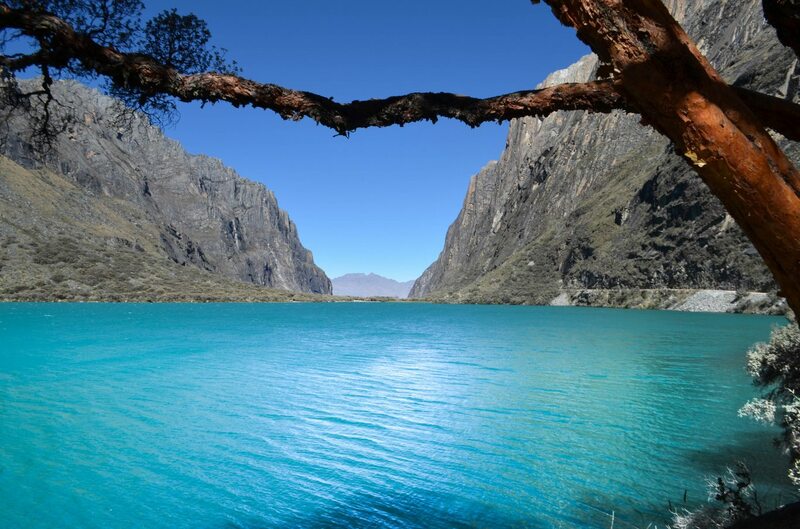 The classic Peruvian “Gringo Trail” lies entirely in the southern half of the country. Such is the popularity of this southern route that as many as 85% of all foreign tourists never set foot in northern Peru. And that’s a shame, because the north is a hugely diverse region ripe for exploration. At the same time, this relative lack of popularity means northern Peru is a welcome break from the tourist hordes down south (for now, at least). So what are you waiting for: Go north! Entering Kuélap near Chachapoyas in northern Peru. Photo by Tony Dunnell. Everyone has heard about the Incas and Machu Picchu. 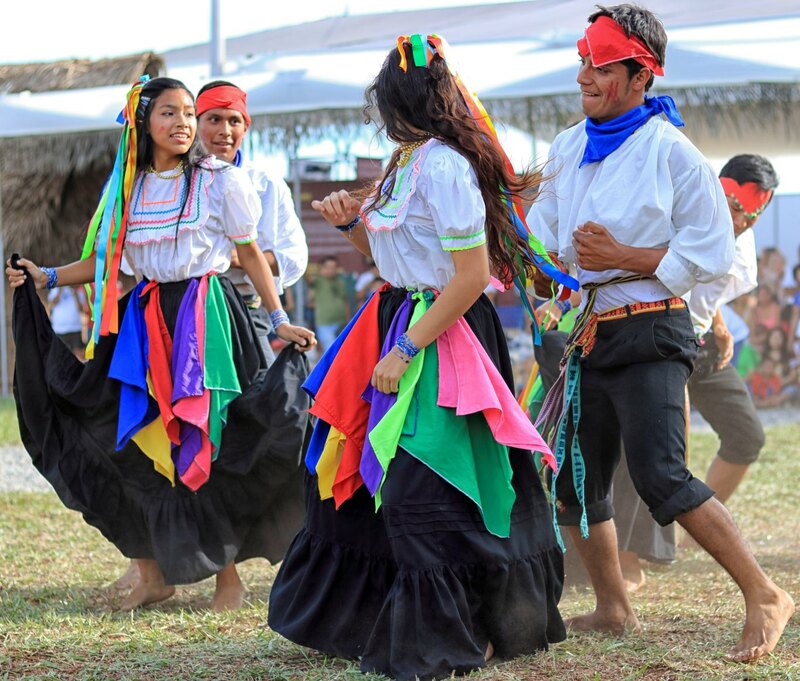 But head to the northern half of Peru and you’ll be in territory once dominated by equally fascinating cultures such as the Moche (Mochica), Chimú, Sican and Chachapoyas. Some predate the rise of the Inca Empire (1438–1533). Others were contemporaries of the Incas, and many were assimilated, forcibly relocated or destroyed by them. But all left their mark: in their ceramics, their textiles and their archaeological sites. Would-be Indiana Joneses have plenty to explore north of Lima. Not too far from the capital is Caral, a “mother city” and the oldest known city in the Americas. It was already an established metropolis when the Ancient Egyptians were building their great pyramids. Further north along the coast lies the vast adobe city of Chan Chan and the truncated Moche pyramids of the Huacas del Sol y de la Luna (Temples of the Sun and the Moon). At Huaca Rajada, another Moche site, you can explore the tomb of the Lord of Sipán and other important burial chambers. These lavish gold-laden tombs were largely spared from the huaqueros — the local tomb raiders — and so far fourteen tombs have been found and excavated. Head inland from the north coast and you’ll reach the town of Chachapoyas and the imposing Fortress of Kuélap. This huge structure was built by the Chachapoyas civilization, known as the “Warriors of the Clouds,” before the Inca Empire developed into a mighty force. 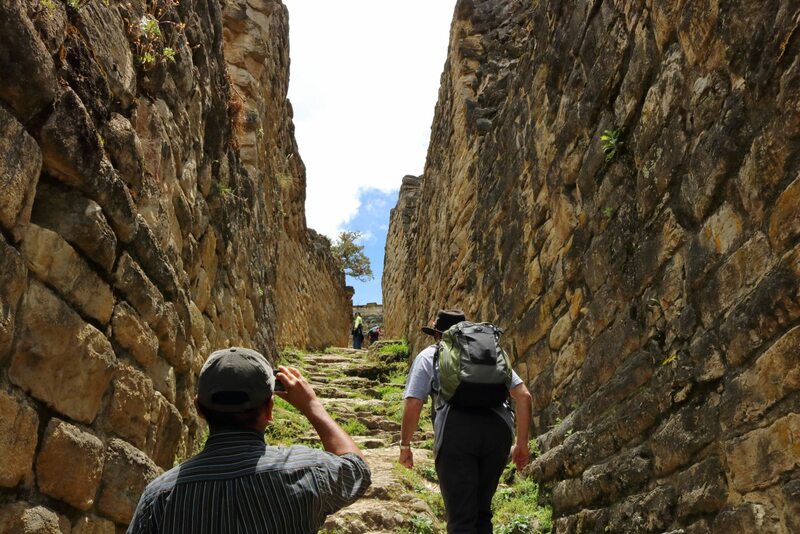 But despite their impressive stronghold, the Chachapoyas were eventually conquered by the Incas, not long before the arrival of the Spanish conquistadors and the swift fall of the Incas themselves. Laguna 69, one of many glacial lakes in Huascarán National Park. Photo by Esmée Winnubst, flickr.com. The southern half of Peru is home to numerous natural wonders: Lake Titicaca, Cotahuasi Canyon, and Manú National Park to name but a few. But the north is just as blessed, if not more so. Travel 170 miles north of Lima and you’ll reach Huaraz, Peru’s mountain climbing capital and gateway to Huascarán National Park. The park covers much of the Cordillera Blanca mountain range, including Mount Huascarán, the highest peak in Peru and the fourth highest in the Western Hemisphere. Trekking in the park takes you through fantastical landscapes of mountain lakes and tropical glaciers, snow-capped peaks and plunging ravines. Head further north to Chachapoyas and you’ll be within an easy day trip of the silvery Gocta Waterfall, which plunges down through the cloud forest. Gocta remained largely unknown to the outside world until the 2005 expedition of German explorer Stefan Ziemendorff. He measured the fall to be 2,530 feet (771 m) high, placing Gocta among the highest waterfalls in the world. Even higher is the nearby Yumbilla Waterfall, located in the Bosque de Cataratas Gigantes (“Forest of Gigantic Waterfalls”) near the town of Cuispes. 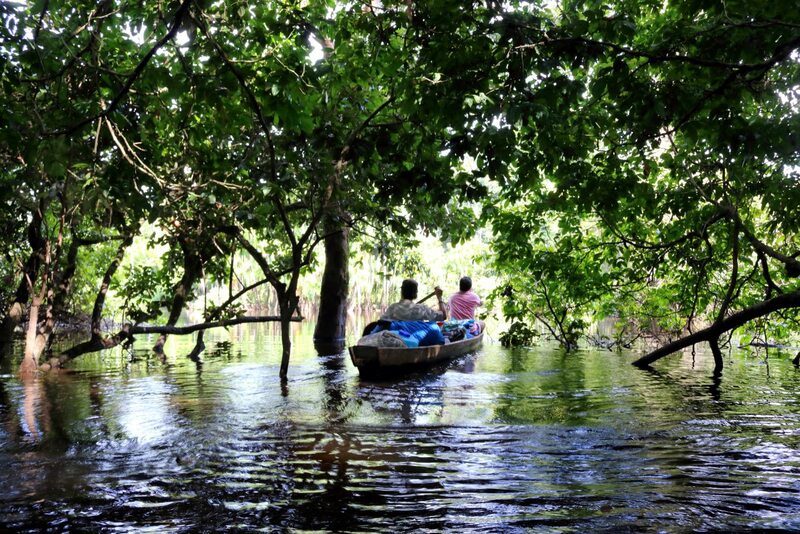 Return to the coast and head to the extreme north of Peru and you’ll find the mangrove forests near Tumbes. The Tumbes National Mangrove Sanctuary helps preserve this important ecological zone, home to more than 200 species of birds, many of them endangered. Exploring Pacaya-Samiria National Reserve in northern Peru. Photo by Tony Dunnell. Whether you’re looking for a luxury Amazon riverboat cruise or a dirt-cheap cargo boat voyage, you’ll find it all in northern Peru. Cargo boats ply the waterways between Yurimaguas (near Tarapoto) and Iquitos, and from Pucallpa to Iquitos, providing budget travelers with easy three- or four-day river voyages along the Amazon River and its tributaries (the Marañon from Yurimaguas and the Ucayali from Pucallpa). Hammock space on one of these lumbering cargo boats costs as little as S/ 60 (about $19) for the three-day trip, or S/ 300 ($93) for a tiny but secure cabin for two. Both options include three simple meals each day. You can read more about my experience on the slow boat to Iquitos here. For organized Amazon expeditions, find a tour in Yurimaguas or Iquitos to take you into the dreamlike Pacaya-Samiria National Reserve. This is the second largest protected area in Peru and the second largest in the entire Amazon Basin. Few protected areas in the world offer as much biodiversity. 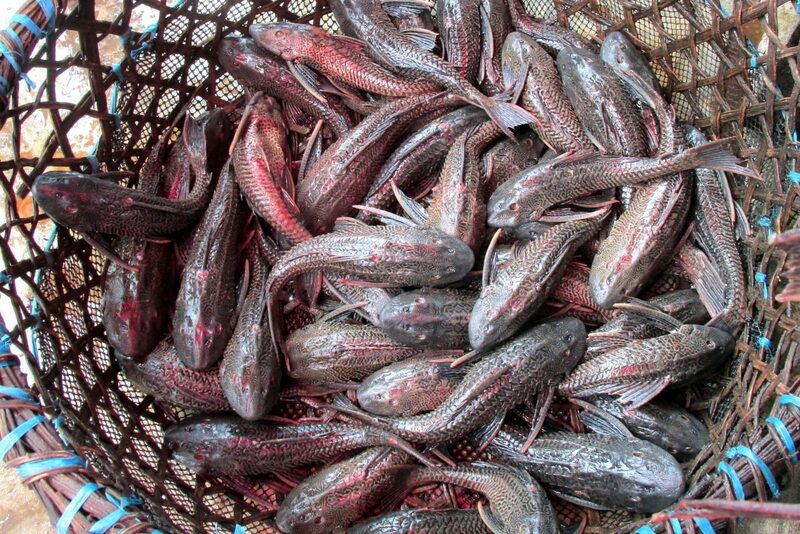 Carachama catfish on sale in Belén Market in Iquitos, northern Peru. Photo by Tony Dunnell. Peru’s reputation as a culinary powerhouse is growing by the day. Lima is at the heart of this gastronomic surge, but the capital’s internationally-recognized restaurants draw their inspiration from across the country. When you travel in northern Peru, you’ll experience a whole new set of regional dishes. The north coast has ceviche to rival that of the capital, and is the home of ceviche de conchas negras, an impressively inky ceviche made using small black clams from the far north. The coastal city of Chiclayo is a seafood hotspot, and has given its name to various dishes including the breaded seafood mix, jalea chiclayana. Tender dishes of duck and goat are also common along the northern coastal strip, especially around Chiclayo and Trujillo. A whole different array of dishes await you further east in the jungle regions of the north. The city of Tarapoto is known for its cecina, a type of cured pork typically served with tacacho, a mashed up ball of green plantain and tasty chunks of pork fat. Keep an eye out for jungle oddities (including some of Peru’s weirdest food), especially in Iquitos. These include roasted ants and fat grubs known as suri. The vast and ramshackle Belén Market in Iquitos is the best place to explore the Amazon’s seemingly endless range of products, from strange fruits to alcoholic aphrodisiacs. Fish, of course, is also in abundance throughout the northern Peruvian Amazon. You might find yourself eating piranha one day, and a huge paiche the next. Peruvian surfer Sofía Mulánovich, former ASP Women’s World Champion, surfing in Máncora in northern Peru. Photo by surfglassy, flickr.com. It’s hard to find stunningly beautiful beaches in Peru. If you want white sand, crystal clear waters and perfect sunshine, you’re better off heading to Brazil or the north coast of Colombia. But if you’re a surfer, Peru will suit you just fine. Surfers head to the north coast of Peru for a variety of reasons. The waves are long, the atmosphere is relaxed, the surf rarely gets too crowded (and most surfers are local), and a wide variety of breaks exist year-round along this strip of coast. Famous surf spots in the north include Playa Chicama near Trujillo, where you’ll find the longest left-breaking wave in the world. Further north is Lobitos, a small surf town near Talara that’s also great for kitesurfing. A short ride north of Talara is Máncora, Peru’s most famous beach town. With consistent left breaks and perfect weather, Máncora is ideal for surfers and kitesurfers — and anyone looking for lively nightlife on the north coast. Northern Peru: plenty of culture, far fewer tourists. Photo by Tony Dunnell. The Gringo Trail down south laps up tourists like a thirsty llama, leaving the north a comparatively untrodden destination where you can escape the crowds and all the negative aspects of burgeoning tourism. Unlike the historic center of Cusco or the popular tourist hub of Miraflores in Lima, cities in the north remain unsaturated by foreign faces. Sure, there are always a few vacationers strolling around, but nowhere near enough to give you that creeping feeling of being just another tourist on an endless treadmill of selfie-taking travelers. Don’t get me wrong: the southern half of Peru is spectacular and endlessly intriguing. But the north also has its own special something: something that adventurous travelers will thoroughly appreciate. Have You Traveled in Northern Peru? If you have, where did you go? What were your highlights? And how does it compare to the southern half of the country? Let us know in the comments section below! Reason Number 7. The people of Northern Peru, especially in Amazonas Region where I live, are some of the finest and most interesting folks you could meet anywhere in the world. You’ll be treated like a person, not just a tourist or stranger, and the local folks will show you things about their culture out of a sense of pride, not simply to take your money. And they have so much to show you! Hi Kerry! I did think about including the people of northern Peru, but thought maybe I’m too biased because, like you, I live up this way. But hell, it’s true! The people up here are great. And the people of Amazonas do deserve a special mention. Cheers! Yes. And the people of San Martín, too. The most awesome regions of Peru. Sounds great! That’s exactly what we’re looking for! “cecina, a type of cured pork” – disclaimer: I’ve only been here 6 years and in that time my (Peruvian) wife and her family have only found ever me cecinas made from beef. It’s sun dried and very hard, even after preparation by frying when it does get slightly softer. I mentioned your “pork” and got a lot of strange looks. Great guide overall, great photos and a very easy on the eye layout; just discovered it. Hi Dave. Which part of Peru do they live in? Because in the jungle, which is famous for it’s cecina, cecina is always pork (although some people might make it with beef, but they’d make that clear). I’ve seen the dried beef stuff, in Chachapoyas I think, and it’s not the same, you’re correct. It’s more like jerky or something. And it’s nowhere near as good, either, in my experience! Glad you like the site! Thanks, Tony. Hi Tony, I have to say I laughed a lot reading your text about the boat ride to Iquitos! I’m going to travel alone to Peru in a couple of weeks, do you think it is safe for a solo female traveler to do the boat ride to Iquitos? Thanks! Hi Sara. Yes, it’s safe enough. You need to keep an eye on your bags, and I have spoken to female travelers who had their hammocks strung up on the main passenger deck (which can get very packed) and they were not comfortable with the man or men in the hammocks next to them. But you can normally move if you feel uncomfortable. And if you get a cabin, which really isn’t too expensive, then you don’t have to worry about that kind of thing, and your bags will be safe. You’ll probably meet other backpackers on the boat too, so you’re unlikely to be completely alone. If you stay in Tarapoto for a few days before you go to Yurimaguas to get the boat, you might meet some people in Tarapoto. I live in Tarapoto and often meet people who are heading that way, sometimes in Huascar Bar where some of the expats and backpackers hang out. If you do come to Tarapoto for a few days, pop into Huascar if you want some more info. Just ask for Tony or Katty. Thanks, Tony.